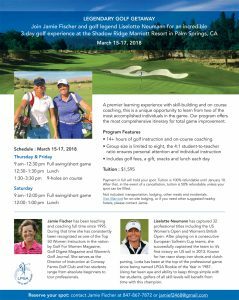 A premier learning experience with skill-building and on course coaching, this is a unique opportunity to learn from two of the most accomplished individuals in the game. 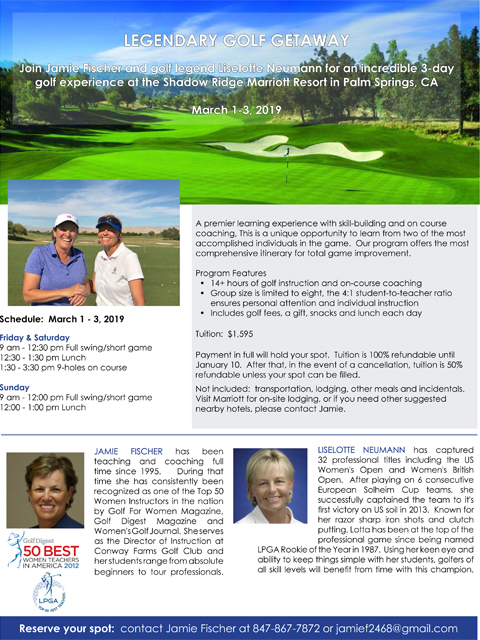 Our program offers the most comprehensive itinerary for total game improvement. Payment in full will hold your spot. Tuition is 100% refundable until January 10. Not included: transportation, lodging, other meals and incidentals.